David is a Postgraduate Researcher in his 2nd Year of a PhD. His areas of interest include prototyping, additive manufacturing, construction kits and 3D design. 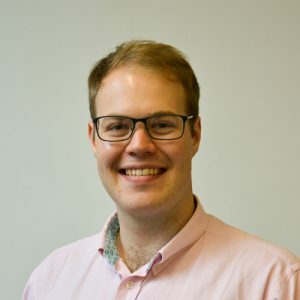 After graduating from the University of Bristol with a Masters in Mechanical Engineering in 2016, he started an Engineering Design PhD with the Design and Manufacturing Futures Lab in the Autumn of 2016. Outside of engineering, he is an avid skier with level 2 instructor qualifications and a couple of seasons under his belt. David can often be found in the mountains. For more information head to his website. PhysiCAD – A LEGO inspired tangible interface for CAD, virtual prototyping and rapid prototyping.